Capillary electrophoresis (CE) has become an established method with widespread recognition as an analytical technique of choice in numerous analytical laboratories, including industrial and academic sectors. Pharmaceutical and biochemical research and quality control are the most important CE applications. 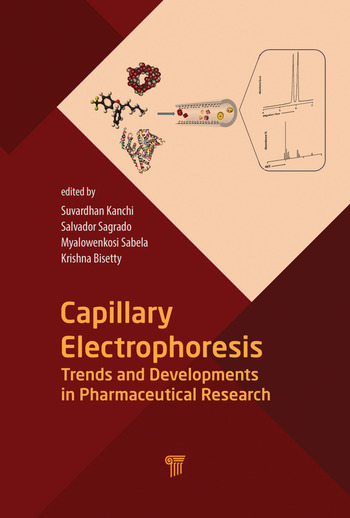 This book provides a comparative assessment of related techniques on mode selection, method development, detection, and quantitative analysis and estimation of pharmacokinetic parameters and broadens the understanding of modern CE applications, developments, and prospects. 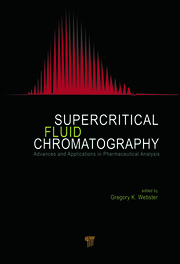 It introduces the fundamentals of CE and clearly outlines the procedures used to mitigate several barriers, such as detection limits, signal detection, changing capillary environment, resolution separation of analytes, and hyphenation of mass spectrometry with CE, for a range of analytical problems. Each chapter outlines a specific electrophoretic variant with detailed instructions and some standard operating procedures. In this respect, the book meets its desired goal of rendering assistance to lovers of electrophoresis. Suvardhan Kanchi is a research scientist in the Department of Chemistry, Durban University of Technology (DUT), South Africa. His current research involves method development to separate organic and inorganic molecules from environmental samples using CE. He is also interested in fabrication of electrochemical nano-biosensors for high-intensity artificial sweeteners, bisphenols, and dyes. Salvador Sagrado is full professor in the Department of Analytical Chemistry, Universitat de València (UV), and secretary of the Interuniversity Research Institute for Molecular Recognition and Technological Development (IDM), Universitat Politècnica de València, Spain. 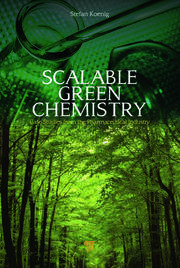 His current research focuses on chemometrics and enantioselectivity. Myalowenkosi Sabela is currently conducting doctoral research at DUT and has been a recipient of the Erasmus Mundus-EUROSA fellowship 2014–2015. His research interest is in pharmacokinetic and enantioselective parameters of pharmaceutical compounds in the presence of biomacromolecules and nanoparticles for applications such as diagnostics and sensors. Krishna Bisetty is head of the Department of Chemistry at DUT. 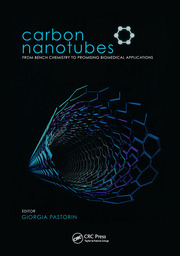 His current research is largely based on high-performance computing ranging from small organic molecules to bioactive macromolecules including the development of computational models for the design of more effective host–guest systems using state-of-the-art molecular dynamics and docking simulations supported by experimental studies.